Nowadays, everyone wants fast results with losing weight. But sometimes we forget that weight loss doesn’t happen overnight. And the gradual process of losing weight is safest and most successful. Also, you don’t have to make an extraordinary effort for healthy weight loss. Simple exercise and a thought out diet are enough to achieve your goal. You need to change your lifestyle, and it’ll become easy to maintain and manage over time. You don’t have to starve for weeks, or try unsafe supplements to hit your goals. And these 10 safe and sustainable tips for one week will give you surprising results. Know your pattern before making a diet plan. It’s effortless and straightforward. Eat fewer calories and burn more to lose weight effectively. But before that, you need to know your pattern. You need a proper assessment of how much you are taking. For that, you can find help from different apps like MyFitnessPal. It’ll efficiently calculate your calorie intake on a daily basis. An excellent tip for fast food lovers. If you’ve been taking fast foods in for years, then it won’t be easy for you to stick to healthy food for very long. So start with small changes. For example, if you take in 2000 calories a day, you can lower it to 1500. In this way, you can stick to your plan, and your brain will not feel deprived. We usually schedule our family or friend get-togethers after sunset. And this makes it harder for people who are determined not to eat after 7 o’clock. So here is an easy alternative. Before the family comes over, have your dinner at the usual time, then when friends and/or family come over, eat a small healthy snack while they’re having their bigger meals. One of the essential tools for the weight loss is dietary protein. So, instead of fats and carbs, try to consume more energy digesting protein. Try to take in alternatives like low-fat dairy, chicken breast, or white fish, instead of burgers or bacon. Apart from that, cheese, greek yogurt or cottage cheese are also smart choices. How to pair sweet with protein. If you eat candy or sugary foods, this will not only increase your sugar level but also leave you feeling hungry. On the other hand, protein mitigates the sugar release into your bloodstream. So, you’ll feel satiated for a long time. Just like protein, fiber makes you feel full for a longer time. Fiber intake makes your blood sugar level steady. That’s why doctors consistently recommend fiber for weight loss. Now, you might know why people prefer whole grain bread instead of white bread and why fruits (which are enriched with fiber) are better than candy. You shouldn’t skimp on fluids like water. Otherwise, it’ll affect your body. If you want to avoid the bad effects and concentrate on weight loss, then 8 glass of water is a must. You might have noticed that whenever you feel stressed, you go to food. This is because the stress hormone, cortisol stokes your appetite for fatty and sugary food. So, whenever you feel stressed out try do something that relaxes you or find a healthy snack. or call your mom or listen to some soulful music. A slower metabolism is responsible for poor sleep. The longer awake, the more you eat. According to a study of 2016, the brain receptors (which are also accountable for having the marijuana munchies) are activated by sleep deprivation. So, 8 hours of sleeping cannot be skipped. Exercise is the best for mental health, heart and more. It’ll also speed up weight loss. But if you start with hard exercises you may end stopping after some time. So, start with just 10 minutes and see the progress gradually. You’ll definitely feel the difference within one week. 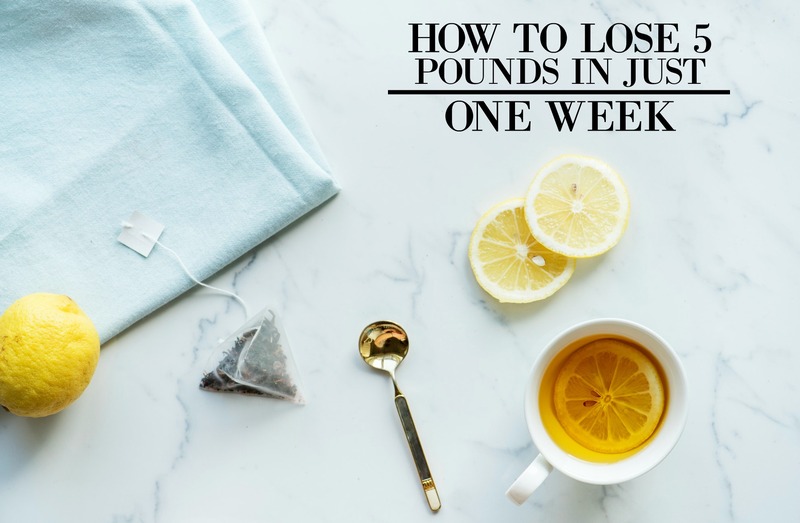 These are the best technique to losing weight quickly. Maintain all these super easy yet powerful tips so you can reach your goals quickly.